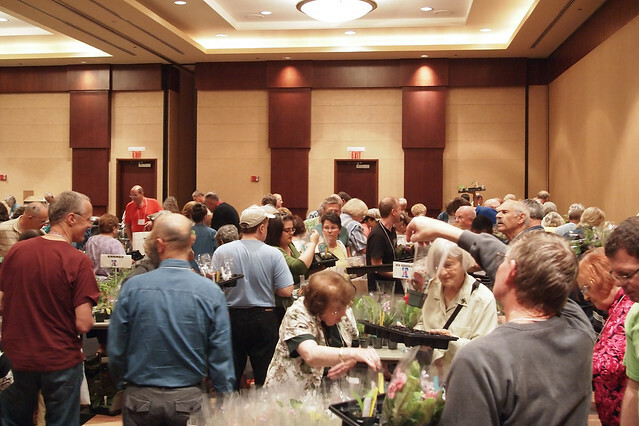 There was a distinct feeling of euphoria during the first few hours of the plant sales at the Convention. 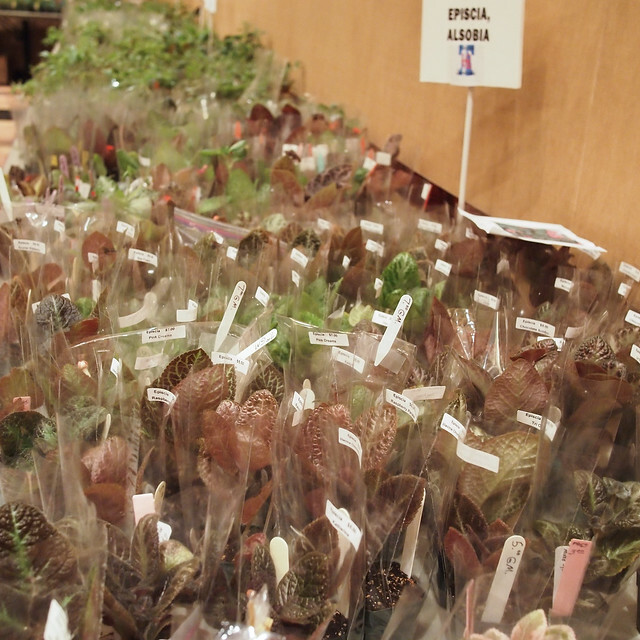 A room full of plants. A table full or rare things. Another of new things. 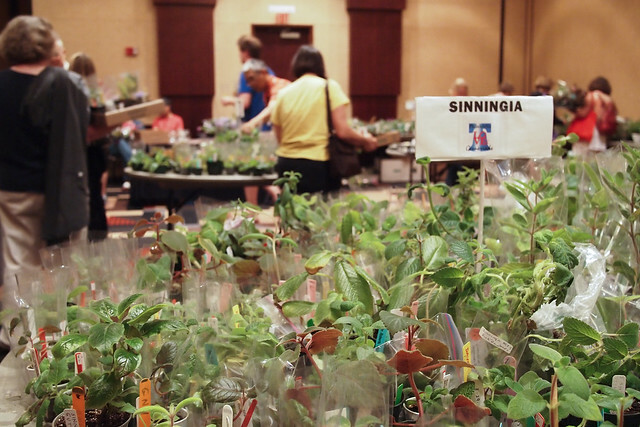 Tables (yes, multiple) of Sinningia. Boxes of rhizomes. Some of the first people in were also the last people out, taking their time looking through all the offerings. The sales room is also a place for chatting with friends, asking about culture and parentage, and talking about trying new things. 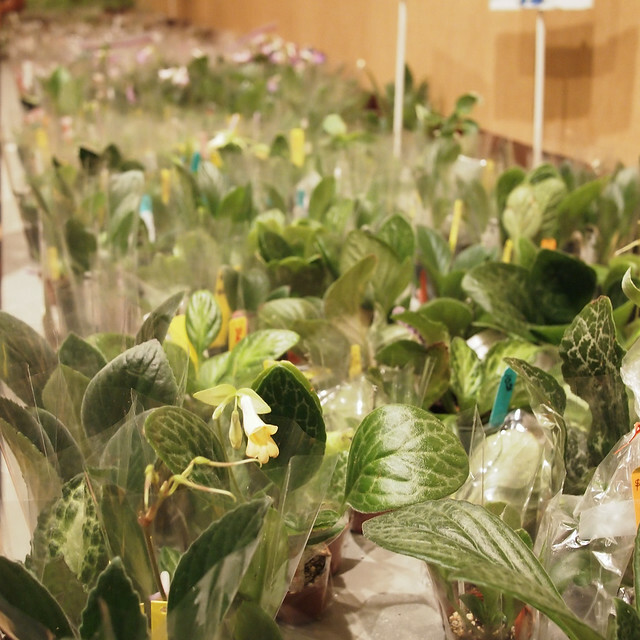 At the end of the evening, most of the tables were still well stocked with plant material. 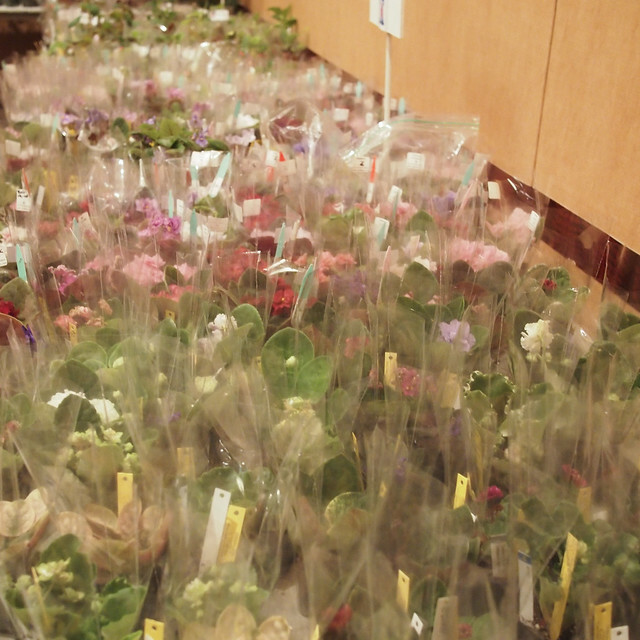 The sales room will be open on Friday from 9-5, and Saturday from 9-12 and 2-3.